A custom built in by our team at Monk’s is a great way to organize your home. 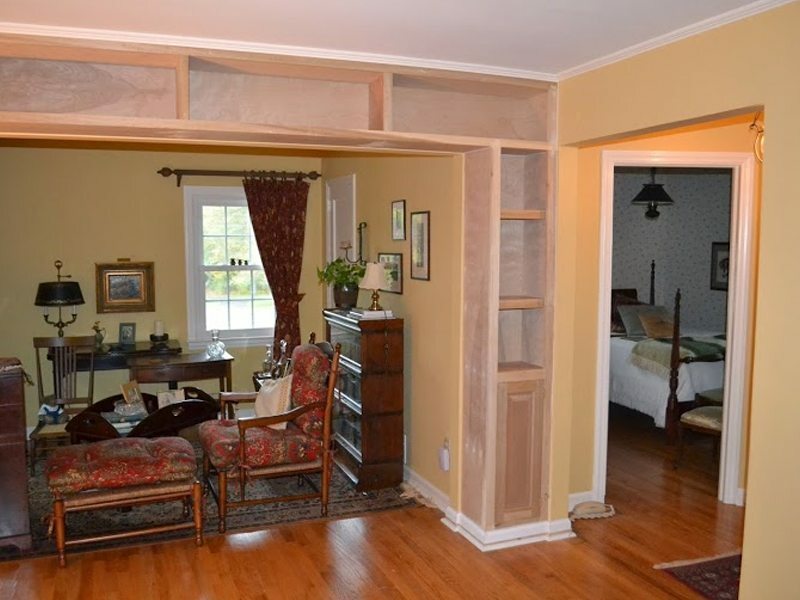 This Madison, NJ home was in need of a space to store and display this homeowner’s collection. Our team arrived on the job and built this home a unique custom built in shelving unit in only three days! When it comes to designing custom built ins our team is always more than happy to collaborate with you, the homeowner, to create a structure that will fit all the needs of your home. 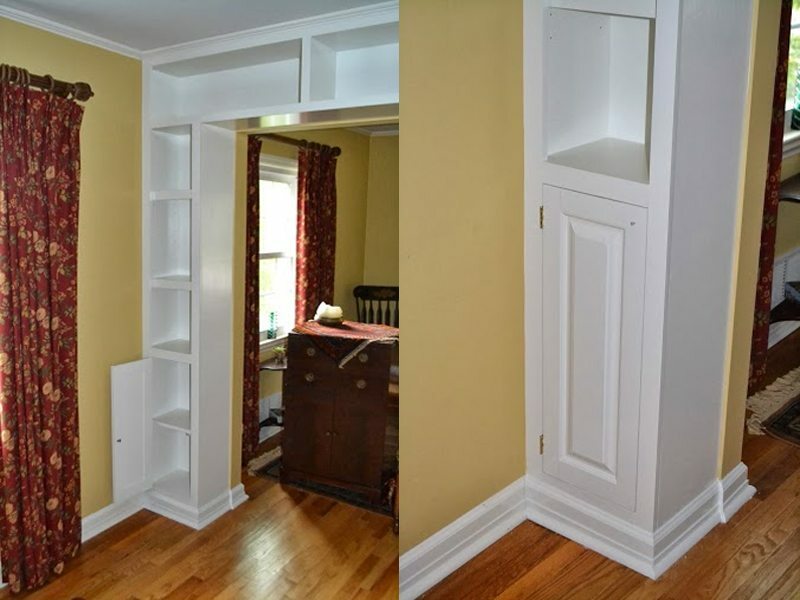 In this particular instance the homeowner already had a distinct idea as for what the custom built in shelves should look like. The homeowner wanted to utilize the unique, underused space, framing a large entrance way between rooms. Our team of skilled carpenters worked with the homeowners to come up with a final design. The narrow sides of this space would call for a special design from our team at Monk’s. The space had to be carefully measured before building could begin. The unit was built out of poplar, a sturdy material which looks great when painted. Each piece had to be precisely cut to fit the unique space this unit would be utilizing. Once all of the nail holes were filled the entire structure was given a full coat of primer, followed by two coats of oil based paint. While the majority of this structure was composed of shelves, our team did build cabinets at the base of the structure. These cabinets were custom built for the space, with decorative raised paneling. In only three days our team at Monk’s had created a beautiful custom built in unit to fit a unique space in this Madison, NJ home. Other Types of Work: Custom wainscoting project, Tile floor installation Floating hardwood floor installation. If you are considering a custom built in for your home we would like the opportunity to tell you why we think we are the best carpentry contractor in Madison, NJ 07940.